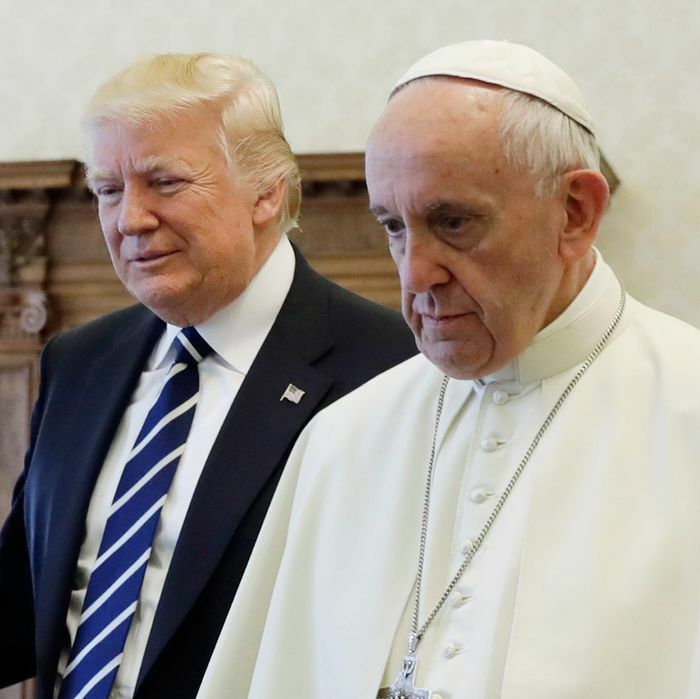 President Donald Trump swung by the Vatican to meet with Pope Francis on Wednesday, the last stop in his tour of the center of the three big monotheistic religions. The meeting between His Holiness and a man who once bragged on tape about groping a woman was bound to be a bit awkward, especially given that candidate Trump made the Pope a campaign target after Francis offered some thinly veiled criticism on his immigration policies. Trump: it's "a very great honor." But Trump was a gracious and deferential guest, says Politico. 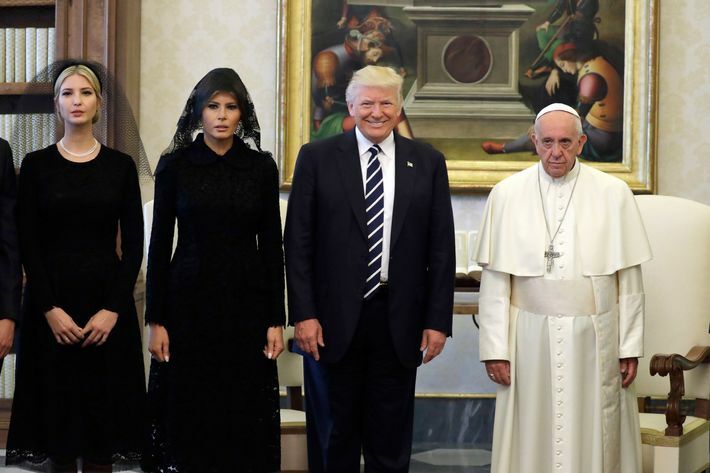 The Pope, meanwhile, joked with Melania about what she feeds her husband. It is pizza, by the way. According to the Vatican, the president and the Pope discussed health care, education, immigration, and “the promotion of peace in the world.” The two exchanged gifts, with Pope Francis dropping a few big hints with his presents: a medal with an olive branch to symbolize peace (“we can use peace,” Trump acknowledged); a signed copy of his World Peace Day message; and a set of the Pope’s writings, including “Laudato Si,” the 2015 encyclical on the environment and climate change. “I’ll be reading,” Trump told him. In return, Trump gave Pope Francis a set of first-edition Martin Luther King Jr. books. “I think you will enjoy them,” Trump explained.